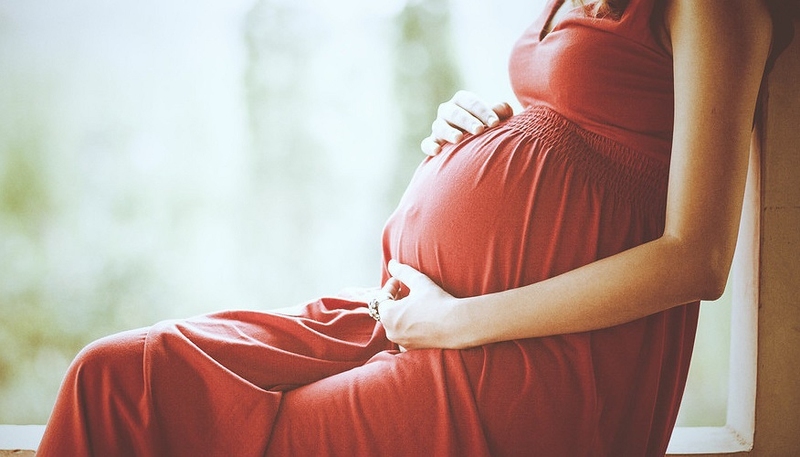 What Complications Will You Face When Overweight and Pregnant? If you’re overweight and pregnant, there’s nothing to worry about because you’re not alone – a majority of women gain weight during pregnancy which they find difficult to lose afterwards. And so long as the weight is not a threat to you or your baby during your pregnancy, there is nothing really to worry about. Let’s get down to business. What exactly is considered “overweight” when you’re pregnant – you know, during a time when you’re expected to gain weight? You begin with your body mass index or BMI which is an estimate of your body fat based on your weight and height. If your BMI before pregnancy was above 30, then you were already overweight and you’re overweight now when you’re pregnant. If you’re overweight, then you shouldn’t have gained more than 25 pounds. If you have, then that’s a cause for concern. If your BMI was between 25 and 29.9, then you should have ideally gained a maximum of 35 pounds. For starters, if your BMI is above 30, then you’re most likely deficient in vitamin D, and this deficiency can lead to weak bones and teeth for your baby. So make sure you’ve stocked up on vitamin D supplements. Talk to your pharmacist or doctor about the best supplements for you. This condition also increases your chances of developing pre-eclampsia, suffering a miscarriage or hypertension, or even developing gestational diabetes, according to the American College of Obstetricians and Gynecologists. It also means that your chances of having an abnormally sized baby (too big or too small) also increase. If the baby is large, it makes delivering a baby more difficult because they might get stuck behind your pubic bone. This might force the doctors to give you a Cesarean delivery, which in turn is more complicated for fat women, because the excessive fat in their bodies makes it extremely difficult to find a vein through which the doctors can deliver spinal anesthesia. If your blood pressure spikes during labor which is often the case with overweight and pregnant women, you might end up suffering a stroke! However, your chances of delivering a small baby are greater than delivering a bigger baby. The fetus, on the other hand, will have to face their own sets of problems. Right from stillbirth (Extreme cases), to developing neural tube defects or even increased chances of obesity in their childhood – the complications are many and severe too. Please do understand that whatever we’re writing should not be taken as a substitute for the doctor’s orders. This is simple information which will help you make an informed decision when you’re pregnant and overweight. I understand that the word “dieting” has a negative connotation to it, but if you really wanna lose weight, dieting is where you should focus heavily on. And when you do go on a diet, make sure you’re jotting down everything that you eat. Why? Because we have the tendency to underestimate the portions of the food we eat, so a diary will help you keep track of exactly what you've consumed, how much of it you've consumed and at what time you consumed it. This will also help you understand what time you get your hunger pangs, what time you get in the “mood” to eat something and what your hunger levels are during the entire day. Dieting is only necessary if you were obese before getting pregnant, or gained more than 25 pounds during your pregnancy and your BMI before pregnancy was normal. It’s always advised to eat your veggies, consume fresh fruits and keep yourself hydrated. Beyond that, you will have to get a diet chart made by a registered dietitian because she or he will be the only one who can tell you what to eat and what to avoid, based on your height, weight and allergies if any, to help you get all the nutrients you need and control your weight in a healthy way. Don’t worry about underfeeding your baby – so long as you’re getting your necessary minerals, proteins, fats and carbs, you don’t have to worry about the number of “calories” you’re consuming. And of course, I’m not talking about the empty calories that junk foods are notorious for. If you’re new to exercising, then sticking to low impact exercises is the best for you. These include walking, jogging, swimming and sometimes even yoga. Needless to say, you need to talk to your healthcare provider before beginning with any workout regime. And don’t worry if you’re overweight and pregnant and are not losing weight as quickly as you wanted – not everybody is blessed with a wonderful metabolism!